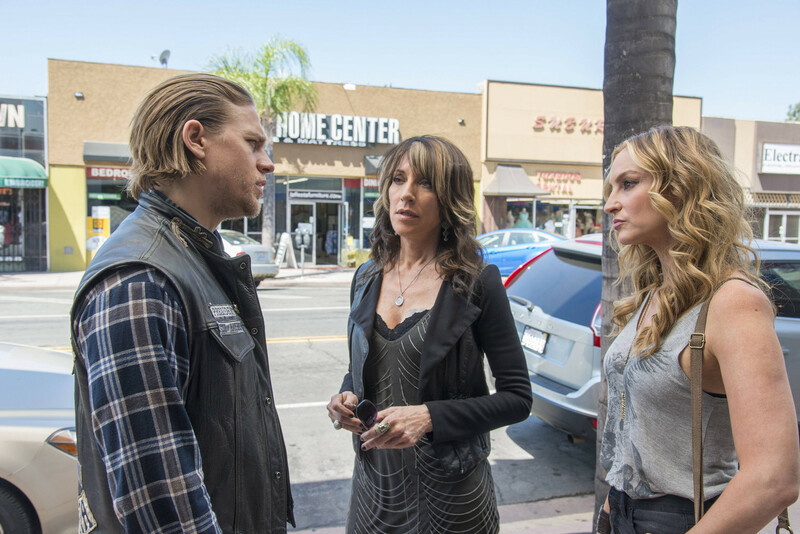 7x01 - Black Widower - Jax, Gemma and Wendy. Charlie Hunnam as Jax Teller, Katey Sagal as Gemma Teller and Drea de Matteo as Wendy Case in Black Widower (7x01). HD Wallpaper and background images in the Sons Of Anarchy club tagged: photo sons of anarchy still season 7 2014 7x01 black widower charlie hunnam katey sagal drea de matteo jax gemma teller wendy case. This Sons Of Anarchy photo contains street, city scene, urban setting, pelican crossing, and carriageway. There might also be sign, poster, text, chalkboard, row house, town house, and diner.